A lot of people turn to massage for stress relief or for relaxation; however, it's benefits and healing powers go a good deal further. At Rejuvenating Massage Therapy, I will concentrate on alleviating pain, healing injuries, and helping you maintain a natural balance physically and mentally. This session lasts for 60 minutes and stones are heated and used for massage right on the skin. The temperature of the stones is adjustable to your comfort. It is recommended to drink lots of water because the hot stones can dehydrate a person. Hot Stones are contraindicated while pregnant. Massage to Infants and Children can last anywhere from 30-60 minutes. It can help to reinforce a positive sense of touch, decrease stress as well as start to create a good future for continuing a natural healing with massage for future ailments. 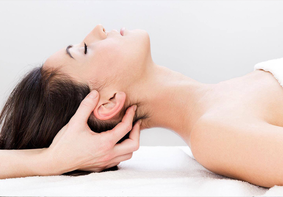 Craniosacral Therapy (CST) is a gentle, hands-on approach that releases tensions deep in the body to relieve pain and dysfunction and improve whole-body health and performance. Using a soft touch which is generally no greater than 5 grams – about the weight of a nickel – practitioners release restrictions in the soft tissues that surround the central nervous system. If a client does not cancel or reschedule with a minimum of 4 hours notice. If a client does not show for their scheduled appointment. Clients that are more than 5 minutes late will still be charged for the full amount of the original appointment booked, but your appointment will still end at the originally scheduled end time.